Peter Salerno Inc.’s Mendham Showroom Celebrates 1st Anniversary! – Design Your Lifestyle. Peter Salerno Inc.’s Mendham Showroom Celebrates 1st Anniversary! One year ago, Peter Salerno Inc. took a leap of faith and opened its second showroom – a quaint but luxurious space along West Main Street in historic Mendham, New Jersey. The move reminded Peter Salerno and his wife Tracy of the risk they took in 1997, when they opened their first showroom location in Wyckoff, New Jersey. Since their first showroom opened, Peter Salerno Inc. has become the most award-winning North American custom kitchen and bath design firm of the 21st century. Even when their re-designed main showroom in Wyckoff, New Jersey, was named Most Innovative Small Showroom by KBIS in 2015, there was still a need for expansion. World-class Peter Salerno Inc. kitchen design in the new Peter Salerno Inc. boutique showroom in Mendham, NJ. With that expansion came the need for greater display space, and Peter’s business family (and actual family) began to look into a satellite showroom. That search led them to beautiful Mendham, New Jersey, a charming town along the famed Patriot’s Path of Revolutionary War lore. 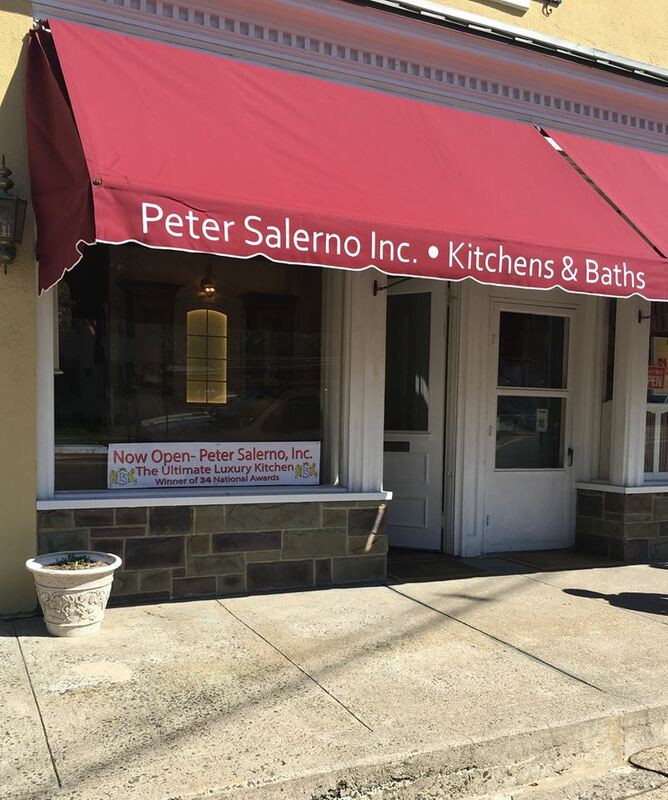 The new Peter Salerno Inc. showroom (located at 5 West Main Street, Mendham, NJ) features multiple custom kitchen design solutions focusing on a blend of classic and contemporary transitional kitchen design. A rustic awning and opulent, original stained glass adorn the front window and invite you inside. Once inside the Mendham showroom, Peter Salerno dazzles you with fresh white walls and tile resting atop custom kitchen cabinetry. This showcases the perfect blend of “new school” transitional kitchen design and “old world” custom Maestro Rosolino cabinetry that is the hallmark of Peter Salerno Inc. custom kitchen design. Clients can also procure exclusive, unique pieces from the brand new EDGES custom cutlery collection. The new Peter Salerno Inc. boutique showroom in Mendham, NJ. From there, you are taken on a “mini” tour of the signature style that has made Peter Salerno Inc. the most award-winning kitchen and bath design firm in North America this century. The boutique showroom features a mix of classic and contemporary, traditional and transitional kitchen design. A large high-definition screen gives our clients a further look into the state-of-the-art Peter Salerno Inc. design portfolio. 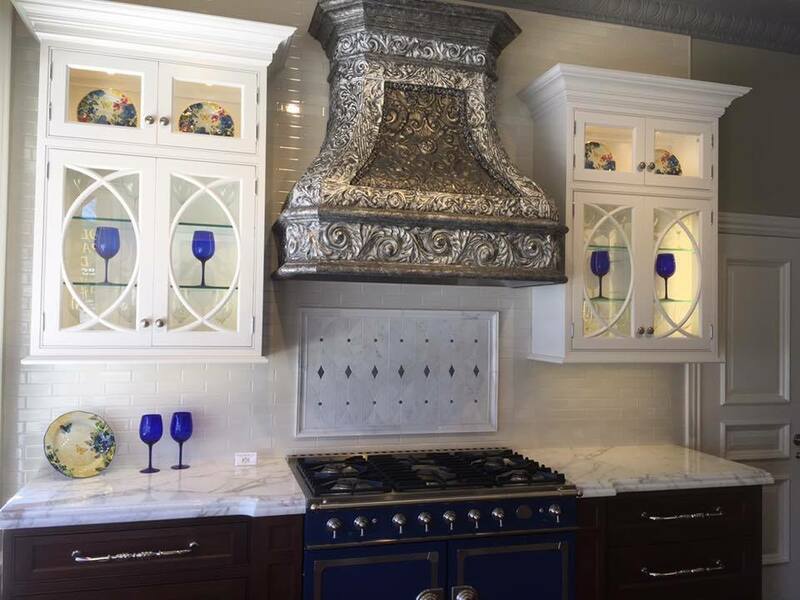 The heart of Mendham was the perfect place for Peter Salerno Inc.’s satellite showroom, which balances a charming blend of high-end, world-class kitchen design with the charm of one of the most historic suburbs in New Jersey. For more information about the one-year anniversary of Peter Salerno Inc.’s Mendham, New Jersey showroom, please call (201) 251-6608 or fill out the contact form below. Congratulations to Peter Salerno and his family on this milestone!